When it comes to new ideas in oxygen therapy, Inogen represent the pinnacle of innovation. Composed of skilled and experienced leaders, engineers, and associates, Inogen is committed to improving oxygen therapy for patients and offering better efficiency and options for providers. 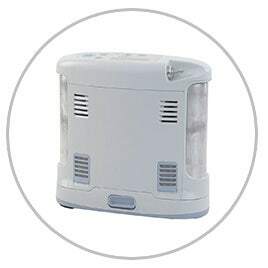 Inogen’s premier product, the Inogen One series portable oxygen concentrator, supplies vital oxygen in a versatile format, ideal for both travel and home use. This allows patients to receive the oxygen they need while traveling, at work, or recreation, while maintaining their independent lifestyle. Inogen’s mission is to provide greater freedom for patients who use oxygen therapy by developing quality, novel products and services. Founded in 2001, Inogen’s focus is on devices designed for Chronic Obstructive Pulmonary Disease (COPD) patients. Over 30 million Americans are afflicted with COPD and the disease is the fourth largest cause of death in the US. Oxygen therapy is critical for COPD patients as it has been demonstrated to reduce the severity and frequency of symptoms and increase life expectancy. However, many patients have found that traditional devices impede their active lifestyles. Inogen offers solutions with products that emphasize convenience and portability, combining effective oxygen delivery with compatibility with active lifestyles.Inogen’s chief commitment is to meet the real life needs of oxygen therapy patients. The company achieves this by thinking outside the box with designs that can be used every day without hassle or frustration. The company was inspired by a real oxygen therapy patient named Mae, who was unwilling to be tied down by old fashioned oxygen therapy devices. Acting as an unofficial consultant, Mae provided critical insight during the development of the Inogen One. She continues to be a source of inspiration at Inogen, driving innovation and reinforcing the company’s commitment to constantly serve the needs of oxygen therapy patients. Inogen’s oxygen concentrators reject traditional designs in order to present an all-around better product. Industry experts have labeled Inogen’s devices as "a technological breakthrough." The Inogen One combines the power of a stationary unit with the portability of small, compact travel units. Now patients don’t have to purchase two concentrators or choose between home and travel models. The Inogen One is the best of both worlds. The Inogen One G3 mobile oxygen unit is about true portability with zero limitations. It is engineered to function seamlessly within every lifestyle, meaning patients don’t have to give up any activities and are provided with constant peace of mind. The Inogen One is fully approved for travel and home use, 24 hours a day. There’s absolutely no need for bulky oxygen tanks since the device concentrates oxygen directly from the air in the environment. It cannot run out of oxygen and there is no need to ever refill the oxygen supply. This means that the Inogen One offers complete and total independence. Trips, short or long, are no problem. Travel is a breeze because there are no tanks to check and no oxygen reserves to worry about. Patients aren’t chained to their home or to oxygen tanks. Small and lightweight, the Inogen One is also user friendly and designed to be exceedingly simple to operate. It represents the cutting edge of oxygen therapy technology and can meet all oxygen delivery needs, both at home and on the go. This device can be used for sleep, at rest, and while active. It also doesn’t sacrifice power for portability, but instead provides consistent oxygen at all times. It represents the ideal balance of a compact design and efficient oxygen delivery. 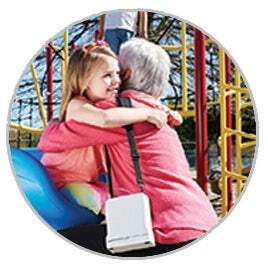 The Inogen One G4 medical oxygen concentrator – providing oxygen therapy whenever and wherever you need it.